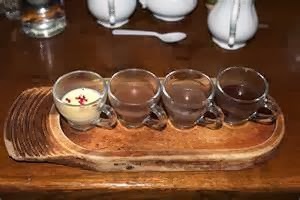 With Easter on the horizon, it is not only time to think of eggs but also chocolate and there is no better way than to visit a new chocolate attraction that has just opened to the public. 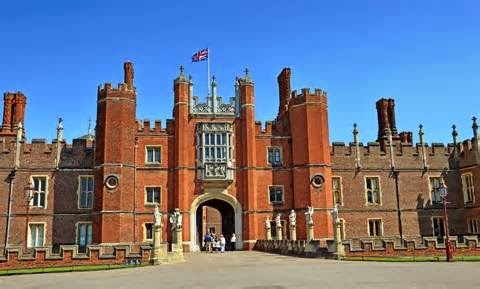 Hampton Court Palace in Surrey has opened a new room to the public - the royal chocolate-making kitchen that once catered for Kings William III, George I and George II. 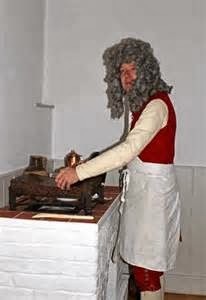 The restored kitchen, up until recently used as a storeroom, has the original stove and elaborate hot chocolate brewing equipment room form the early 1700s. 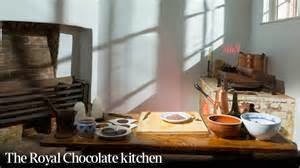 Curators have only recently uncovered the precise location of the Chocolate Kitchen which had been used as a storeroom for some 300 years. It is remarkably well preserved with the original charcoal braziers and much of the equipment and furniture still intact. The eighteenth century Chocolate Kitchen was once the domain of Thomas Tosier, personal chocolatier to King George I, whose wife Grace was something of a celebrity in Georgian London, trading on her husband’s important role to promote her own renowned chocolate house in Greenwich. Visitors can now take a look behind the scenes into the very rooms where Tosier and his staff prepared the special chocolate drink for George I's most intimate dinners and entertainments. Throughout the year Hampton Court's historic chefs will be in the Chocolate Kitchen hosting Georgian chocolate making sessions, so visitors can learn more about the elaborate and complex processes used to create the King's luxury chocolate drink.